One of my favorite magazines, Make, has a great new article about building a great compressed air paper rocket launch system. The article appears in volume 15 of the great DIY magazine. 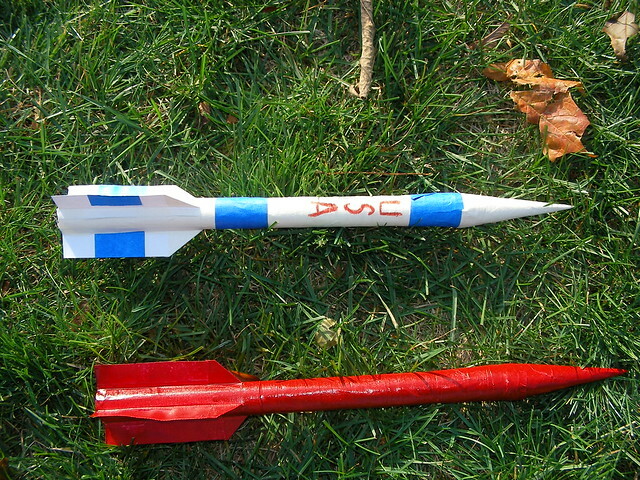 The rocket itself can be downloaded from the site along with videos on the make and even a flight video. As far as I can tell almost any 13mm paper rocket could be converted for this. I will update you on my results once I get this system built.